Representing a perfect blend of elegance, innovation, and tradition, Hamilton watches are a big part of the American legacy. Founded in 1892 in Pennsylvania, this company quickly earned a reputation for producing high-quality pocket watches and clocks, all powered by accurate in-house movements. No wonder, vintage and pre-owned Hamilton watches have always been in demand by collectors and connoisseurs of Haute Horlogerie. These days, Hamilton still produces some the finest American watches in the world, which are now entirely Swiss made. Moreover, this company remains focused on innovation, patriotism, style, durability, and accuracy, which makes its timepieces a worthy choice for everyone looking for affordable luxury watches of the highest quality. Check the following examples, and you will see it yourself! 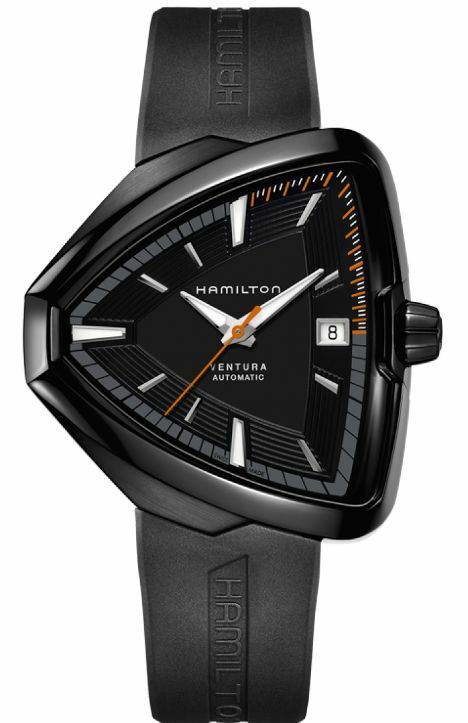 The Hamilton Jazzmaster collection boasts a variety of outstanding models that are both modern and innovative. Distinguished by the timeless elegance and precise movements, these timepieces are all a good choice for a luxury watch lover. However, if you need something truly reliable, pay your attention to the stainless steel Jazzmaster Power Reserve model. 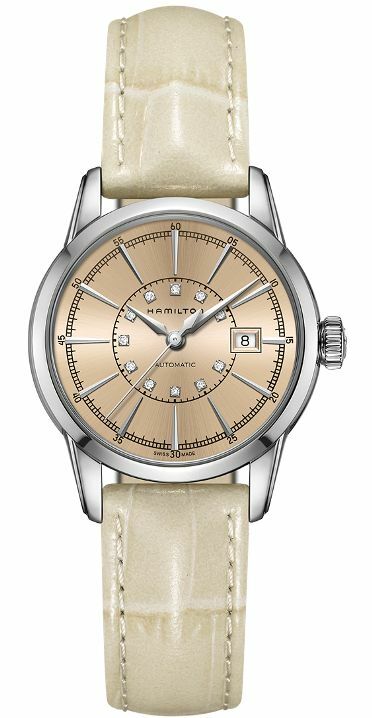 Equipped with an innovative automatic movement, it ensures an extended 80-hour power reserve that is visible on the dial. The Elvis80 Auto pays tribute to Elvis Presley who worn a similar Hamilton Ventura model in the movie “Blue Hawaii.” Featuring the same shield-shaped case, this luxury watch is no less eye-catching, however, with a more modern look due to its black PVD stainless steel case and a powerful in-house self-winding movement. 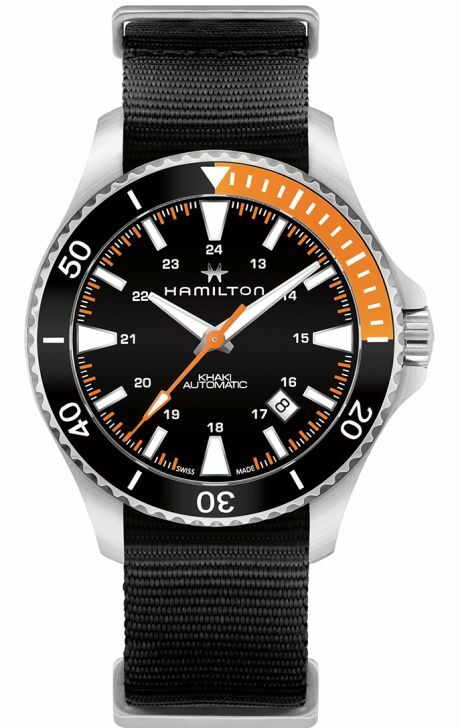 The Hamilton Khaki Navy is an excellent example of high-quality sports watches with strong character, which look great both underwater and on dry land. Even though this collection includes many interesting models with water resistances up to 1,000 meters, pay your attention to the Scuba Auto. Its colorful design and distinctive diving appearance are sure not to leave you indifferent. 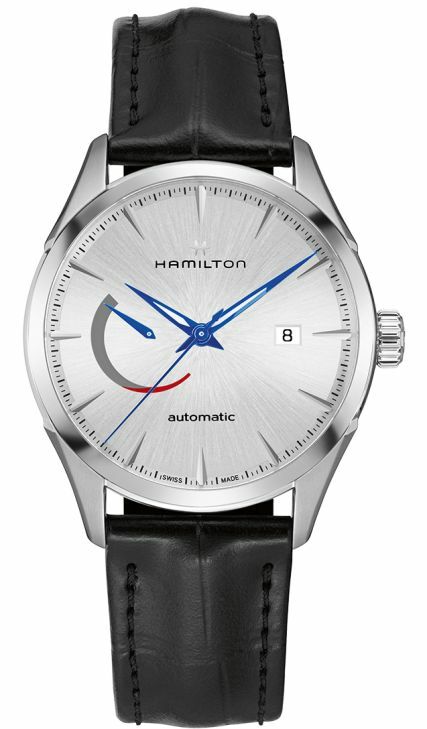 The new Hamilton Broadway Auto Chrono line is all about New York-inspired metropolitan design. All timepieces here are created in a resolutely American style to suit a modern man leading a dynamic way of life. 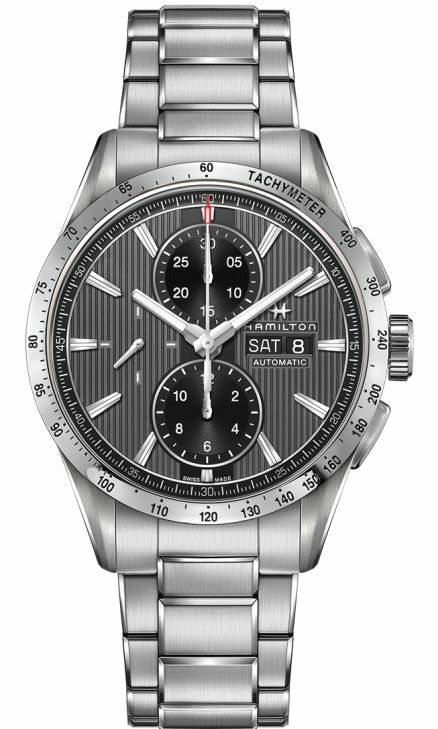 With its unique architecture complemented by an urban look and a sporty tachymeter scale, this stylish chronograph model is definitely a good option for daily wear. Inspired by Hamilton vintage pocket watches that ensured accuracy on the railroads, the American Classic collection boasts many exceptional designs for any taste. One of them is the stunning Railroad Lady Auto that provides reliability and precision of the modern Swiss movement while remaining faithful to the distinctive early American style. Moreover, this model is additionally decorated with diamonds for a more luxurious look. Whether you are looking for an affordable luxury watch for a modern man or a refined woman, Hamilton watches are always a great option. Stylish, elegant, and reliable, they are sure to complement any wrist.